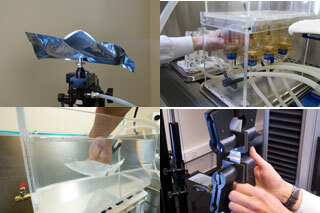 Medical Device Package Testing. Learn more at www.nelsonlabs.com. If you are involved in the packaging of medical devices, your primary standards reference has probably been the International Organization for Standardization (ISO) 11607 publication for packaging design and validation. However, this standard was lacking much of the detail and guidance many packaging engineers were seeking; therefore ISO recently published a new standard, ISO 16775 – Packaging For Terminally Sterilized Medical Devices – Guidance On The Application Of ISO 11607-1 And ISO 11607-2, a comprehensive guide to all things packaging. The new standard references the fundamental concepts outlined in ISO 11607 but takes it to the next level, providing practitioners additional detail. More specifically, ISO 16775 highlights what makes a sterile barrier system (SBS), what the SBS requirements are, design considerations, materials selection, labeling issues, and package assembly to name a few. ISO 16775 also details common packaging configurations and applications, and walks users through the entire package testing process step by step. From creating the validation plan to installation qualification (IQ), operational qualification (OQ), and performance qualification (PQ) on the sealing equipment, to testing final product/packaging for strength, integrity, and microbial barrier properties over time, ISO 16775 has you covered. ISO 16775’s appendix even includes example forms / checklists that can be used for IQ, OQ, and PQ validations. ISO 16775 is a “must have” for medical device packaging professionals. It covers not only pre-formed SBS systems, but addresses many of the challenges unique to health care facilities, with extensive information on wraps and containers. If you are experienced in medical device packaging, ISO 16775 will be a review of topics you are already familiar with, supplemented by new and valuable insights. If you are a newcomer to packaging, this document is your new best friend. ISO 16775 is a great reference to add to any library.